PrezentareFun science meets humor and heart in this adventure about a boy who is searching for his mother . . . in a parallel universe. Stephen Albie Bright leads a happy, normal life. Well, as normal as it gets with two astrophysicist parents who named their son after their favorite scientists, Stephen Hawking and Albert Einstein. But then Albie's mother dies of cancer, and his world is shattered. When his father explains that she might be alive in a parallel universe, Albie knows he has to find her. So, armed with a box, a laptop, and a banana, Albie sets out to do just that. Of course, when you're universe-hopping for the very first time, it's difficult to find the one you want. 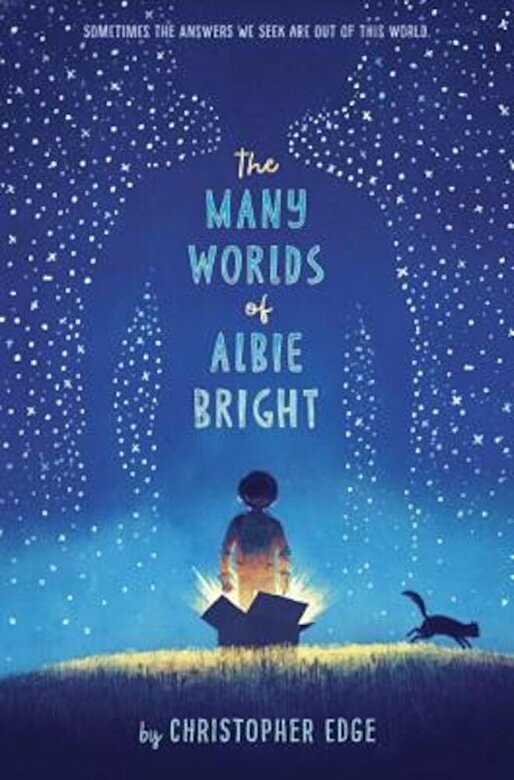 As Albie searches, he discovers some pretty big surprises about himself and our universe(s), and stumbles upon the answers to life's most challenging questions. A poignant, funny, and heartwarming adventure, this extraordinary novel is for anyone who has ever been curious.